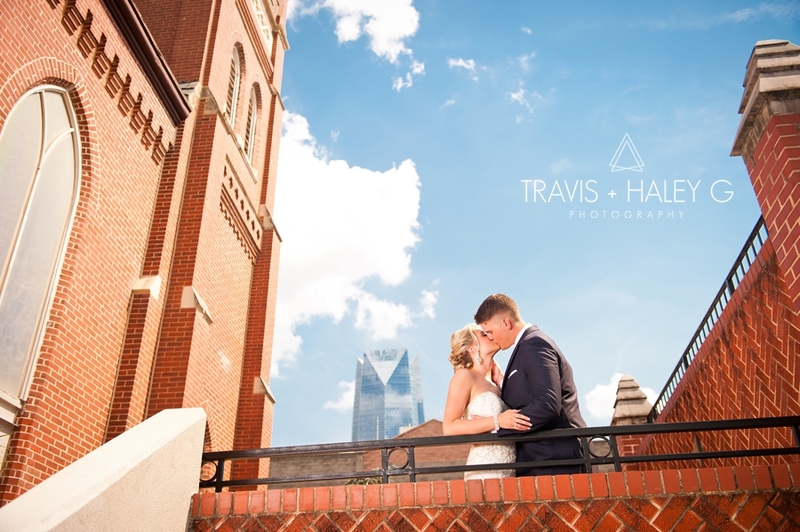 Michael and Kaitlyn celebrated their wedding day the best way possible with love, laughter, and a breathtaking view on top of OKC! This day was special for us too as we will share the same anniversary day June 10th! You might be thinking…wait these photographers worked on their own anniversary?? And our answer is YES!! Absolutely! We love doing what we do! We even ‘took a selfie’ during their ceremony! And it was a great reminder as to why we married each other just over ten years ago, we love being together, we love working together, we are best friends, we are two hearts beating as one! 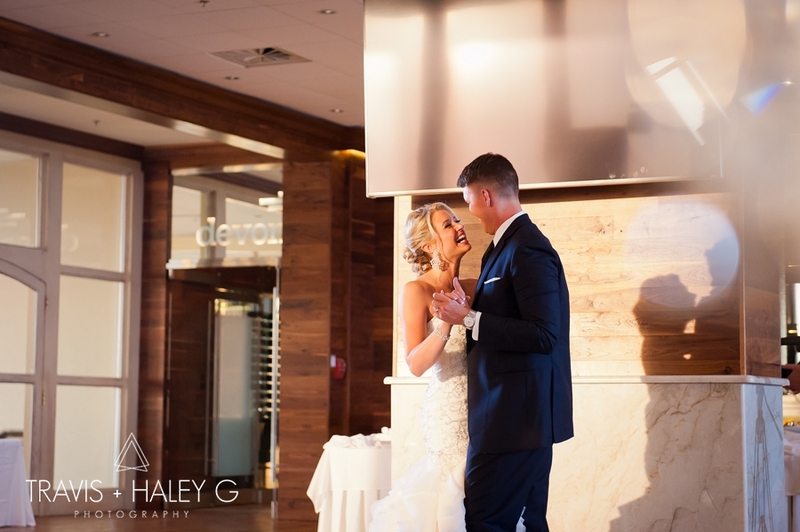 A day full of celebration, Michael and Kaitlyn began their glorious day getting ready at the Sheraton in downtown Oklahoma City! Kaitlyn, surrounded by all of her favorite girls, while Michael, with his best group of guys, were all sharing laughter filled moments. 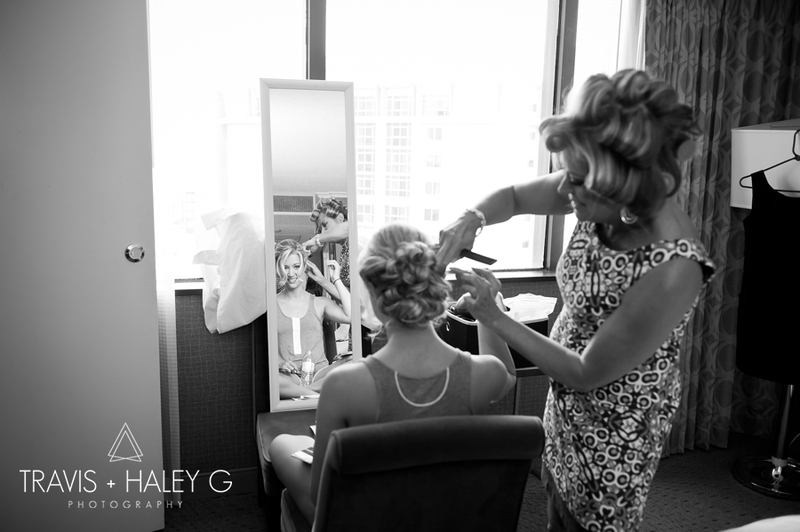 After Kaitlyn and all of her bridesmaids looked absolutely flawless with their hair and make up, it was time for the ladies to help the beautiful bride into her stunning dress! 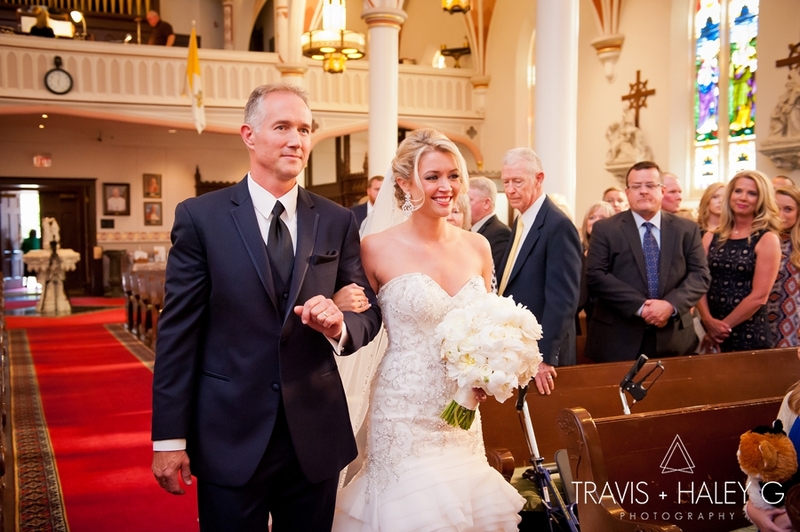 After everyone was ready, we headed over to St. Joseph Old Cathedral to get married! 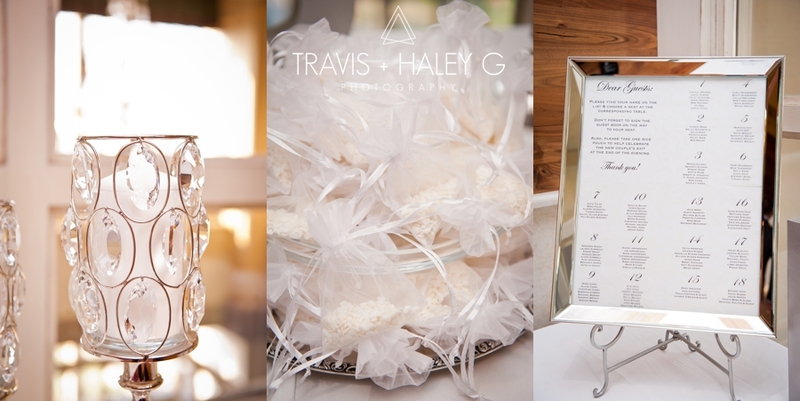 Once we arrived, and final touches were made, it was time for M+K’s first look! 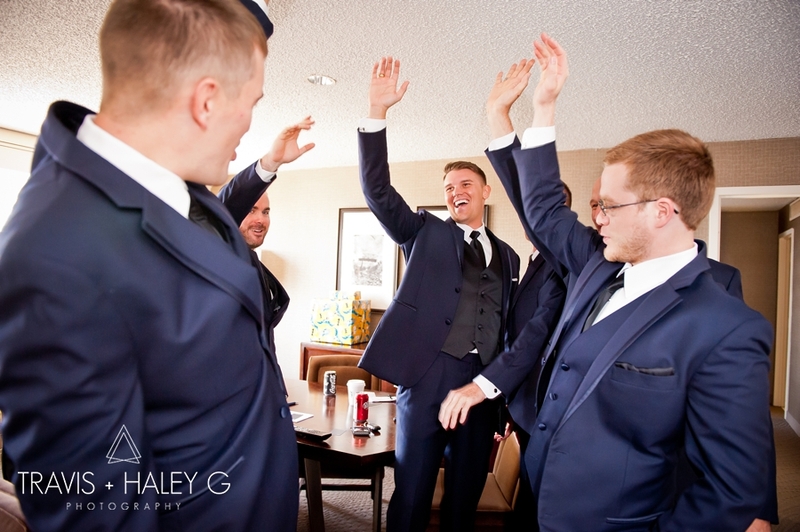 As Kaitlyn reached up to tap Michael on the shoulder, Michael was grinning from ear to ear, and as he turned around to get a first look of his glowing bride, he was full of emotion and happiness! It was just the sweetest moment ever!!! 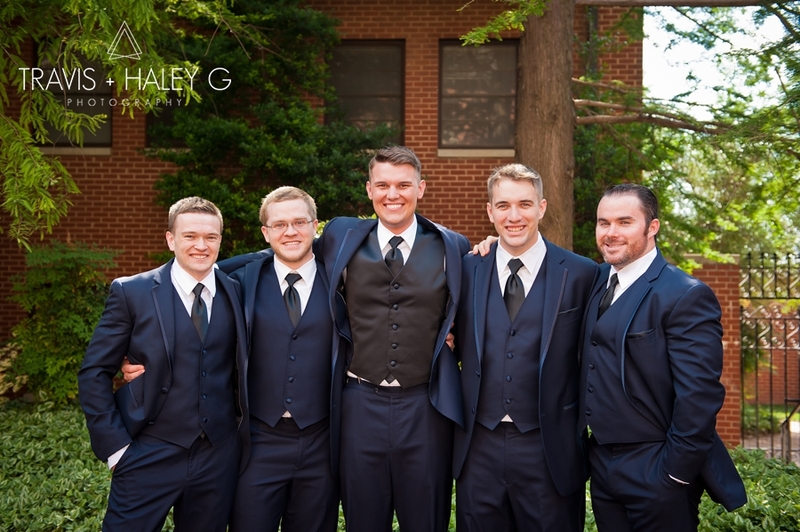 Michael and Kaitlyn’s closest friends and family witnessed the happy couple exchange beautiful vows. 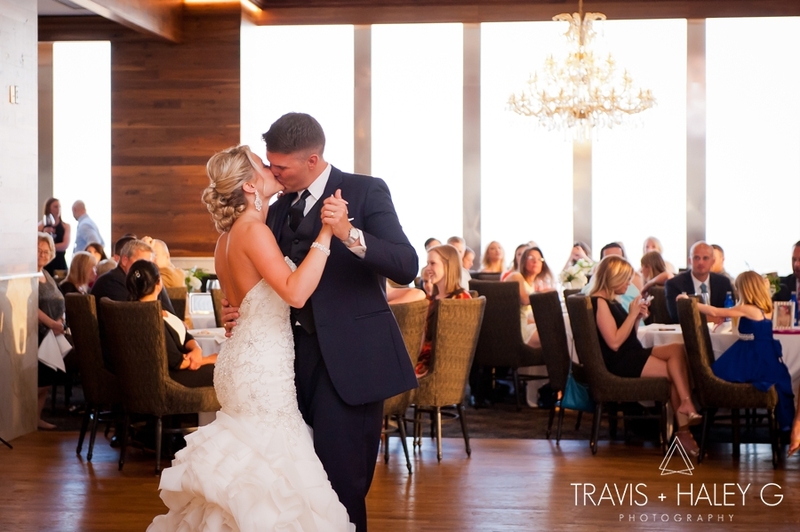 After the vows were sealed with a kiss, the blissful newly weds were now ready to celebrate with all their loved ones at the reception! 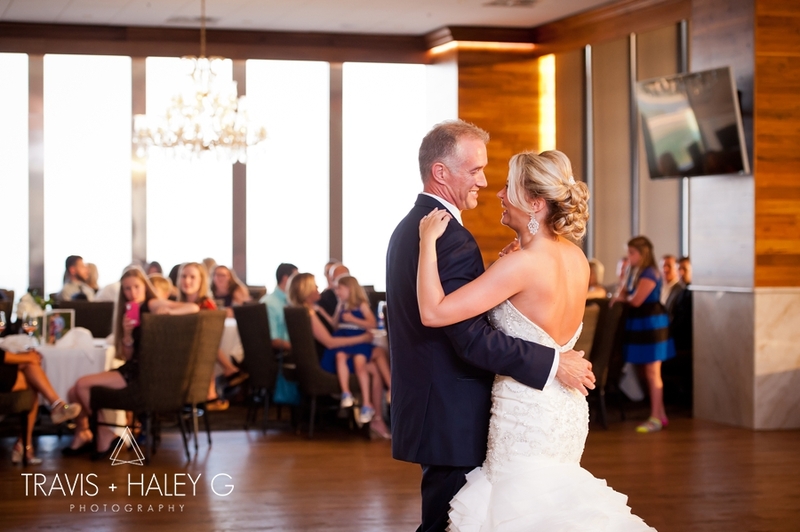 To top the evening off, M+K’s reception took place at the Petroleum Club in Oklahoma City. This amazing couple had only one special request at the reception, sunset photos on top of OKC. We love Oklahoma sunsets so of course we welcomed the opportunity! And holy smokes, our timing was so perfect! 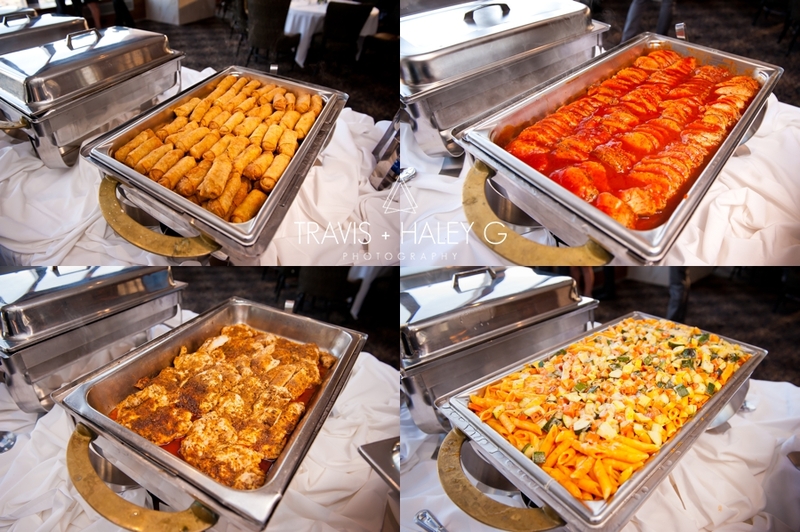 Once everyone feasted on the yummy food followed by the delicious cake, made by the bride’s sweet mother, it was time to turn up on the dance floor! 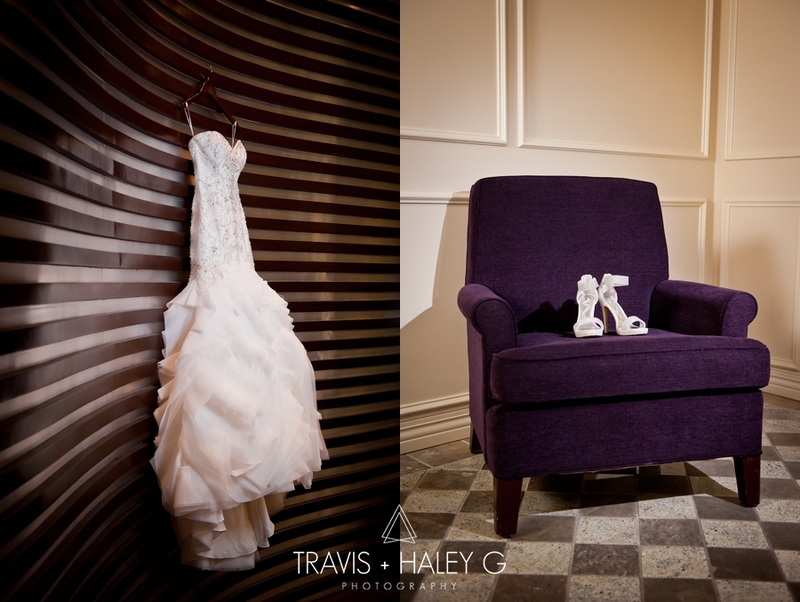 We also photographed Kaitlyn’s bridal portraits and look remarkable!